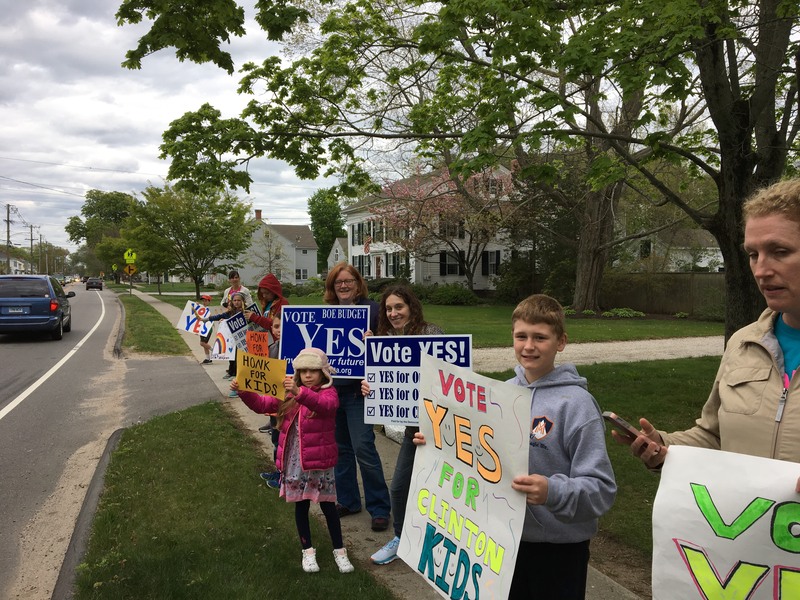 Yesterday, the Town of Clinton held a budget referendum for the town budget, education budget, and a proposal to bond $7,000,000 for infrastructure purposes. Only the bonding proposal passed. The other two budgets failed. Both budgets will be reviewed and further cuts will be made. Then, on May 24, 2017, there will be another vote on the revised budgets. Morgan students who are 18 years old are encouraged to register to vote within the next 10 days. If they do so, they will be able to vote on the next budget in two weeks. The education budget failed by 147 votes and the town budget failed by 224 votes. The debt service for the new Morgan School was one of the reasons the education budget increased by 5%. Since the town cannot get out of paying the new school debts, cuts will have to be made in other areas. This could come in the form of cutting courses, teachers, and programs that our school system offers. In the budget proposed yesterday, there were already cuts made. For example, The Morgan School will no longer be offering a Chinese program to its students. The Chinese teacher is being let-go, and Chinese students are being put in a very difficult situation. More serious cuts like these will affect more Clinton students. At the end of the month, we will see what the new budgets will cut, and by how much.